Building good digital relationships and reputation must be required if you’re a Marketer. SpinOnWeb can be the one stop destination. So, what are you waiting for? Approach us right now. spinonweb just acknowledges certain credit and debit cards. By purchasing any service from spinonweb, you concur that the payment card related with your account will be automatically re-charged according to the terms of your subscription. On the off chance that you cancel inside 30 days of beginning sign-up, you will get a full refund of expenses paid. In the event that you have a yearly or biennial subscription and cancel following 30 days of beginning sign-up or renewal, you will get a pro-rated refund of charges paid. You won't be qualified for any refund on the off chance that you have a yearly or biennial membership and you drop after 90 days. You won't be qualified for any refund in the event that you have a month to month subscription. Accounts won't be actuated or reactivated except if you give advance payment and complete and precise registration data. All renewal charges are expected at the very latest to the date your subscription terminates. In the event that spinonweb can't process a payment by its due date, spinonweb may promptly suspend your account by incapacitating service features until the point that payment is effectively processed. SpinOnWeb Pvt. Ltd can be the one-stop solution you would expect from. 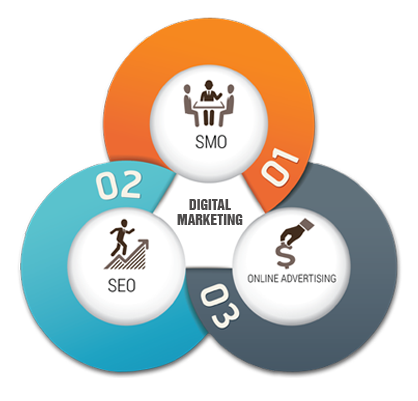 We take pride in providing you various services ranging from Web design, App development to complete SEO & SMM strategy to PPC campaigning. Besides, we are equipped with cutting-edge technologies and teamed with young, vibrant, adroit and certified professionals who help showcase your business and make your strong online presence. Copyright © 2018 | Spin On Web. All rights reserved.